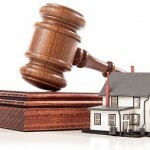 Home Family Lawyer What are the Grounds to Divorce in New York? Just like any state, New York has its own set of laws that govern how you can get a divorce. 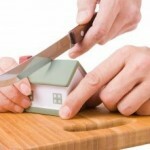 There are several reasons you can use to get a divorce. If you believe you meet the grounds for divorce, you will want to talk to your NYC family law attorney to find out how to proceed. Irretrievable breakdown is one reason you can obtain a divorce in the state of New York. If you and your spouse’s relationship have seen a major breakdown for at least 6 months, a judge can grant you a divorce. You may want to see advice from your attorney. If you would be in danger by continuing to live in the marriage, then this would be grounds for divorce. If you and your spouse have lived apart for one year and have signed a separation agreement before a notary, then you can be granted a divorce on this ground. Adultery is another reason that is grounds for divorce in New York. The exception to this is if you commit adultery, encourage them to commit adultery, or if it has been more than 5 years, it would not be granted. Imprisonment. Should your spouse be sentenced to jail for more than 3 years, you can get divorced. If your spouse has left and has not returned for one year, you can be granted a divorce in the State of New York.